The Classic Adirondack chair with a twist...or better yet, a fold! Yes, this gorgeous and durable Adirondack chair easily folds for storage making transport and seasonal storage a breeze. Extra wide arms accommodate whatever cold beverage or even dinner plate you like to enjoy while relaxing. 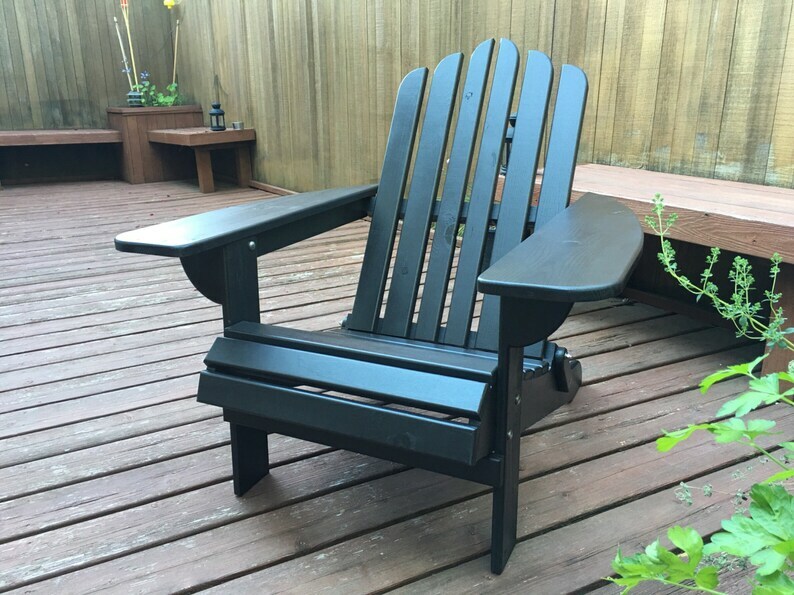 This handmade Adirondack chair far surpasses the quality of your run-of-the-mill big box store disposable furniture. Constructed using innovative pocket screw joinery, fasteners are hidden, giving this piece a sleek, sophisticated look. Your guests will thing you paid much more than you actually did! Made with stainless steel hardware and painted in your choice of color, this classic chair will be enjoyed by you and your guests for years to come. Matte, Satin, Semi-Gloss, and Gloss finishes available in a variety of vibrant colors. Local Pickup preferred. This item exceeds the oversize threshold for most carriers. I can quote shipping for serious inquiries only.